Save 20% on Indoor furniture purchases when you spend £150 or more. Excludes outdoor furniture, nursery furniture and Simba. 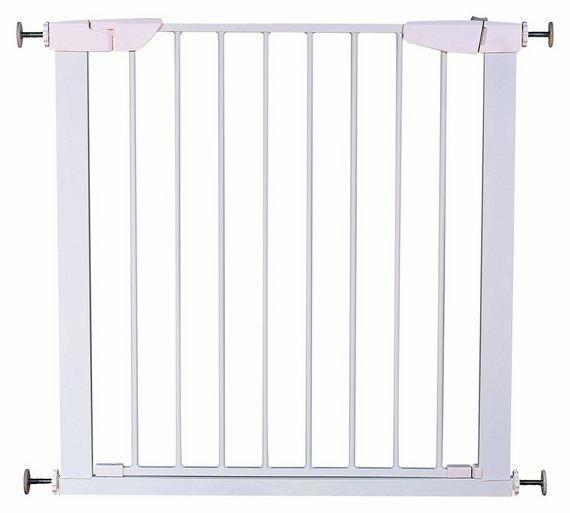 Decent price for this highly reviewed Baby Safety Gate – scores 4.6 / 5 from 799 reviewers. Make sure your little explorer can’t get to places you don’t want them to. 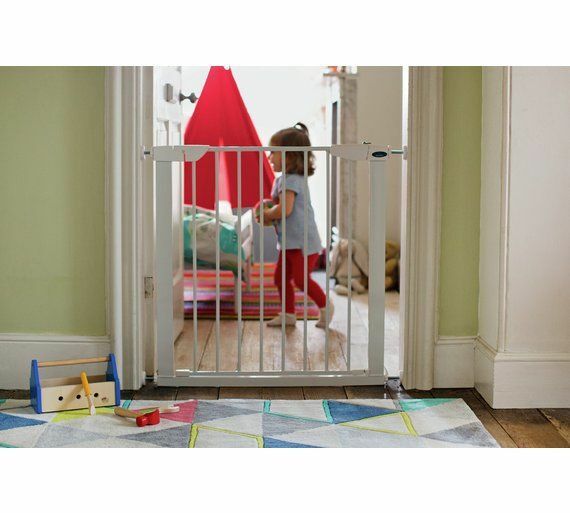 This pressure fit safety gate can be used one-handed and has two-way opening making it very easy to use for parents. The double locking system of the gate makes it easy for an adult to operate and difficult for a child. Easy close pressure fit metal gate. The double-locking system is easy for an adult to operate and difficult for a child. Conforms to European Standard EN 1930:2011 – designed to provide protection for children under 24 months old.